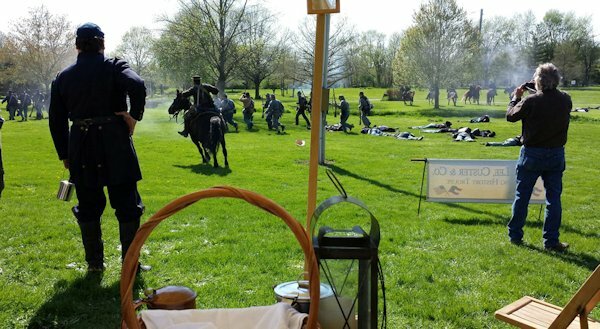 Reenactors give first person accounts as Civil War leaders, from left: Generals U.S. Grant, George G. Meade, George A. Custer, and Robert E. Lee (speaking), Major Heros Von Borcke, Generals Jeb Stewart and Stonewall Jackson. Afterwards, a meal was served followed with an evening military ball with Dance Callers Connie & Larry Wachtveitl. 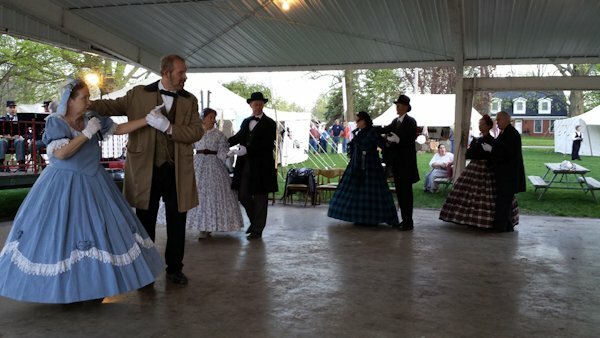 Band and dance next dates are: May 31st at Pontiac Heritage Days-July 19-20th; DDM Civil War Days-Bloomington; October 10th at Illinois State Fair-Springfield. October 11-12: Bloomfield, IA for the 150th Anniversary Weekend.